Scotland’s largest mobility retailer has achieved impressive social media coverage after helping a Glasgow radio-host surprise his colleague with a mobility scooter. Heart Radio’s drive-time show host Paul Harper contacted Mobility Solutions’ Glasgow store in search of a scooter to surprise his co-host Lynne Miller following a tummy tuck operation. Making the most out of the rare opportunity, Mobility Solutions shot pictures and also helped Paul film a reaction video to be shared on the radio hosts’ social media channels and to his followers. Receiving over 60 likes, 12 shares and more than 3300 views, the reaction video posted to Facebook, features Paul mentioning the retail store by name and driving the mobility scooter out of the showroom. 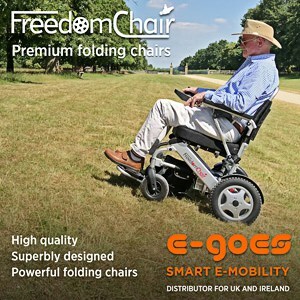 The post also includes a direct link to Mobility Solution’s own Facebook page. Part of the multi-million-pound Allied Vehicles Group, Mobility Solutions was opened in 2013 and supplies an extensive range of mobility products including mobility scooters, daily living aids and accessible vehicle sales from its two Scottish showrooms in Glasgow and Clyde Valley.